The Good Place Guide describes more than 120 places throughout Great Britain and Ireland that people are likely to enjoy using or visiting. It is not intended to cover traditional and historic places that have remained virtually unchanged but concentrates on those places that have been created or significantly changed over the last 50 years and are good examples of the design of places as distinct from the individual building. 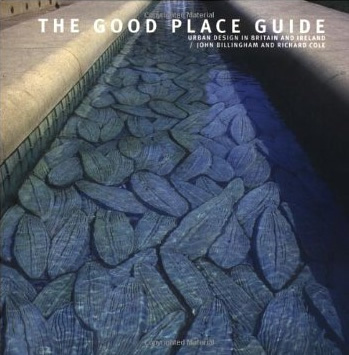 Based on work produced by members of the Urban Design Group, the guide only covers part of urban design which can be defined as the ‘art of making places for people’, but it demonstrates some of the key components of creating successful places through elements such as the mixture of uses, space for pedestrians and designing in context. It is eye-opening both for people professionally concerned with the design of urban spaces and for those who use them.